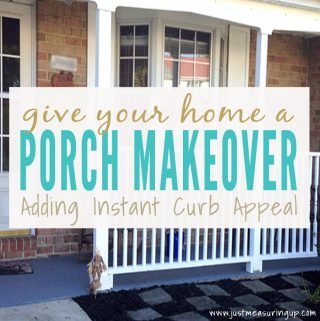 Looking to increase your home’s curb appeal? 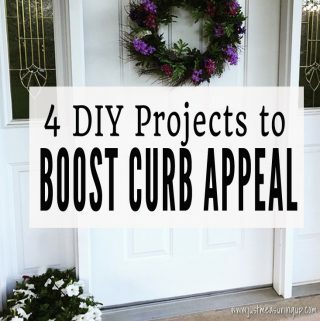 These four DIY projects are not only simple, but they will sharpen your house’s look in no time, which in turn, increases the value of your home. Wondering what updating your mailpost entails? 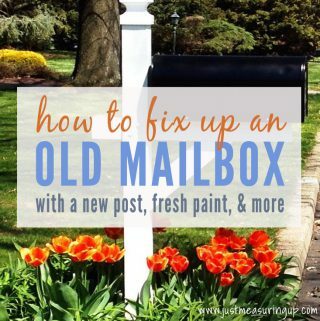 Eileen explains how they made over their old, slanted mailbox, with a new sturdy post and some fresh paint. This quick, stately upgrade cost less than $20. From building roof trusses to creating custom doors, Ash leaves no stone unturned, as he finishes sharing how he single-handedly constructed his shed. 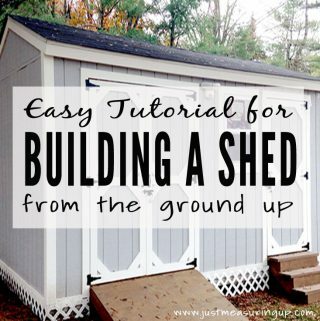 This article will tell you exactly how you can build a shed too. Curb appeal is everything these days. Read how Ash and Eileen enhanced their home’s look with porch railings and fresh paint, bringing curb appeal and new function to an otherwise mundane space. Looking to install a pathway? Ash shares how they connected their patio to their detached deck. 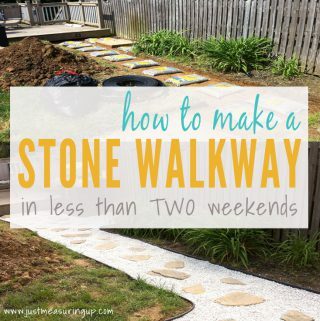 After a lot of digging and carrying bags of stones, they have a beautiful, functional pathway that spruced up their backyard.